A one of a kind creation for a children's charity, this enamelled GMT-6 - the only one ever in titanium - will go under the hammer on August 20, 2016. 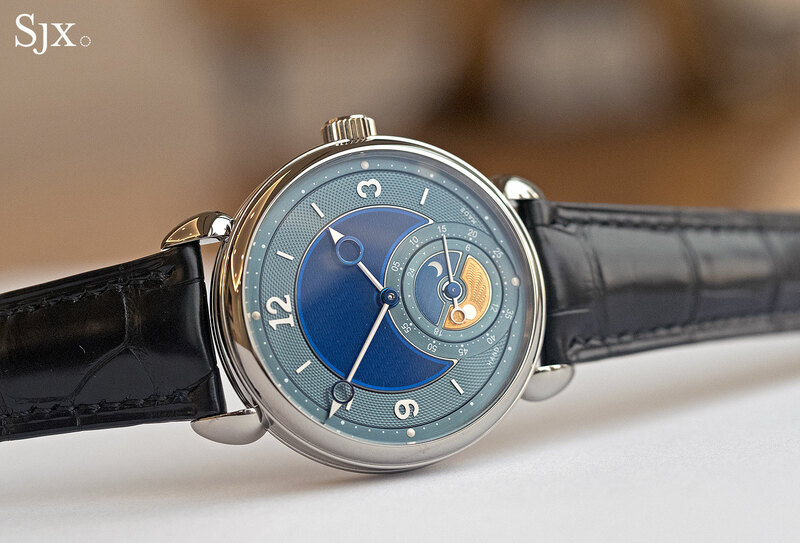 Voutilainen’s signature chronometer wristwatch with an added second time zone feature, the GMT-6 is the base for a one-off timepiece created to benefit Singapore children’s charity Kidz Horizon. Featuring a hand-made champlevé enamel dial, the GMT-6 Kidz Horizon is the only one ever made in titanium. 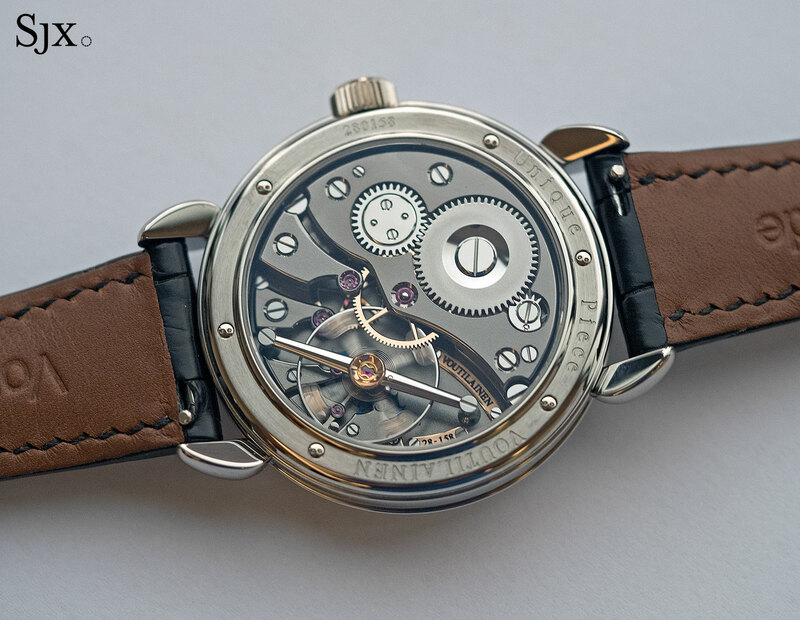 The unique GMT-6 is the sixth watch in a series donated by the family of the late Duncan Wang. A Chinese-American businessman who passed away in 2009, the late Mr Wang was a prolific watch collector as well as a patron of many charities. 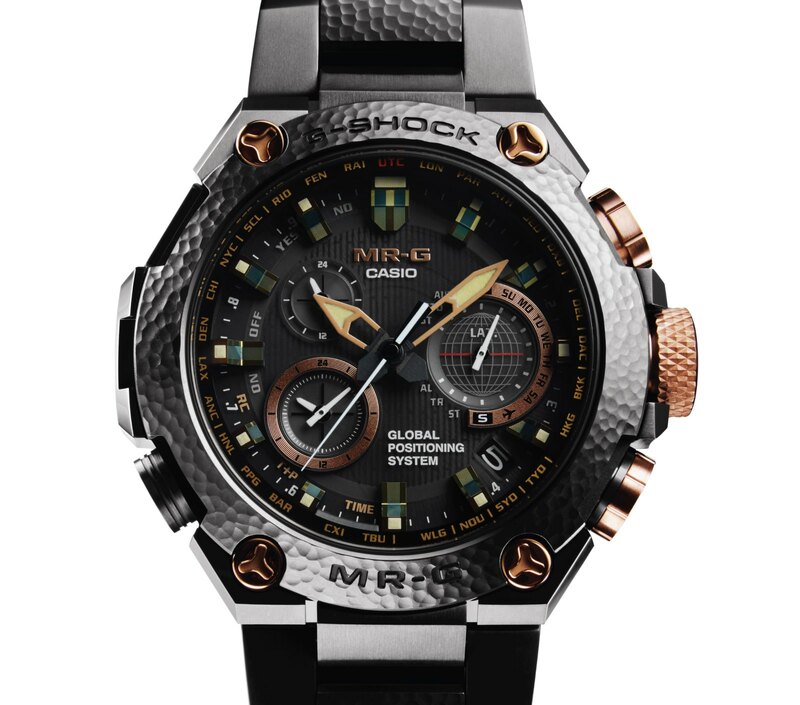 Consequently, Mr Wang’s family, who helped found software firm Computer Associates, decided to create a unique wristwatch every year to be sold for charity in his memory. Having raised over S$600,000, the “Duncan Watches” in past years have been collaborations with some of the world’s most noted watchmakers. Vacheron Constantin created a Chronometre Royal with a striking blue enamel dial in 2013, while the year before Audemars Piguet put together a Royal Oak Skeleton in titanium and cermet. 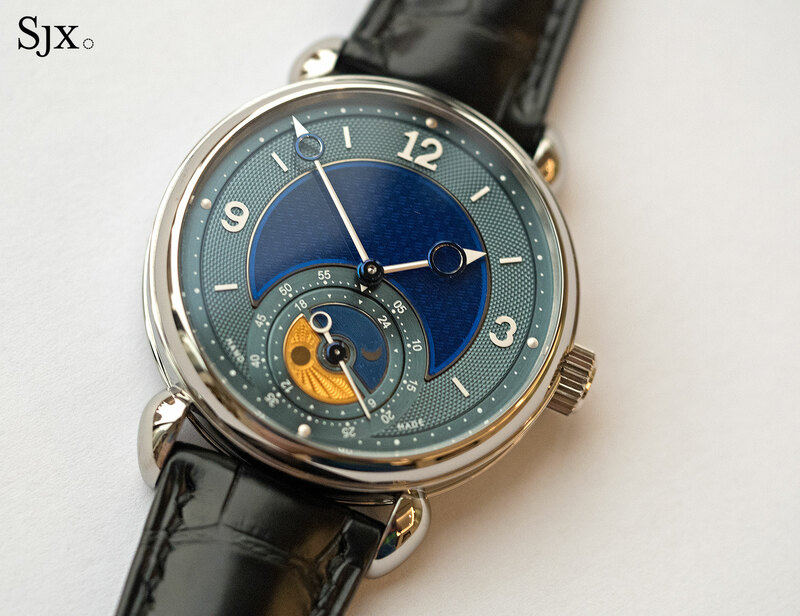 This year’s Kidz Horizon timepiece is a Voutilainen GMT-6, the second example of such a watch Voutilainen has made for charity; in late 2015 a stainless steel GMT-6 was sold at the Only Watch charity auction in Geneva for SFr145,000. While Voutilainen watches are typically made of precious metals, the GMT-6 Kidz Horizon is titanium – the only specimen in this alloy. 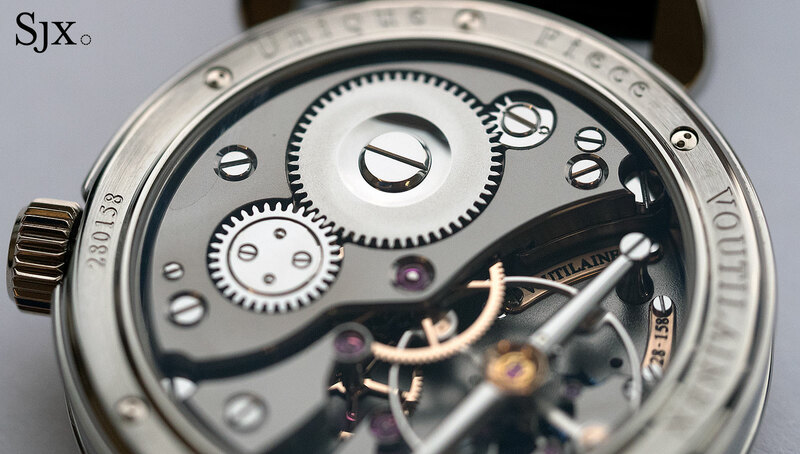 But unlike conventional titanium watch cases that have a matte finish, the GMT-6 case is mirror-polished. The surface is glossy enough that it could be mistaken for steel, with only the lightness of the case revealing it as titanium. 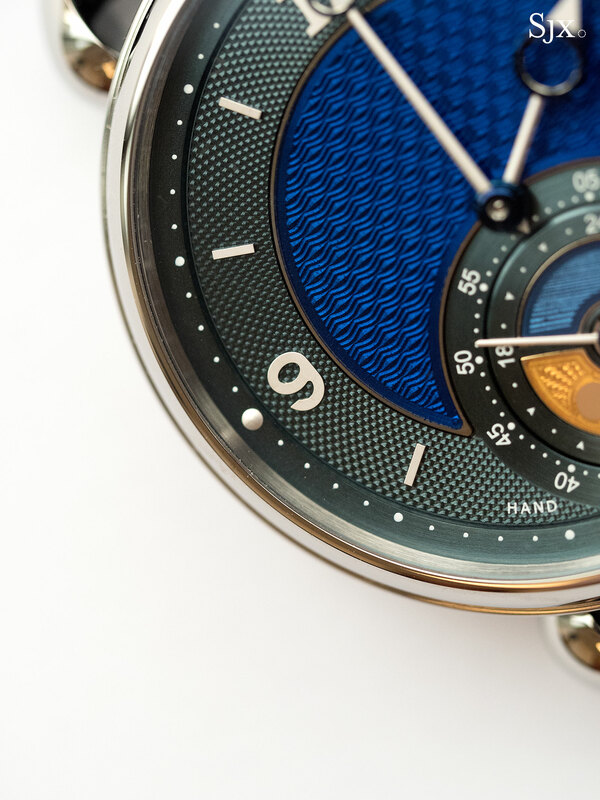 The dial is elaborately made and decorated. 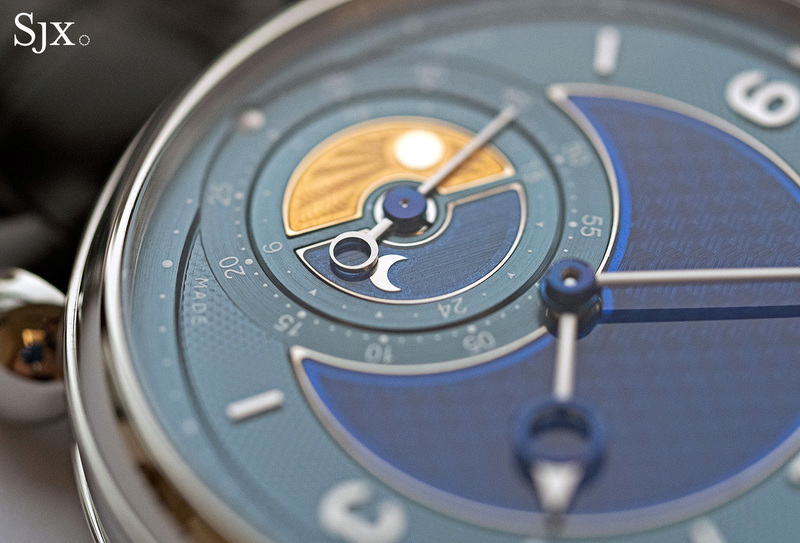 A grey-blue, the outermost section is made of solid silver and engine-turned, while the central portion of the dial is finished with a deep blue vitreous enamel. This crescent-shaped section is actually a disc of gold, engraved with a barleycorn guilloche, and then enamelled – a technique known as champlevé. 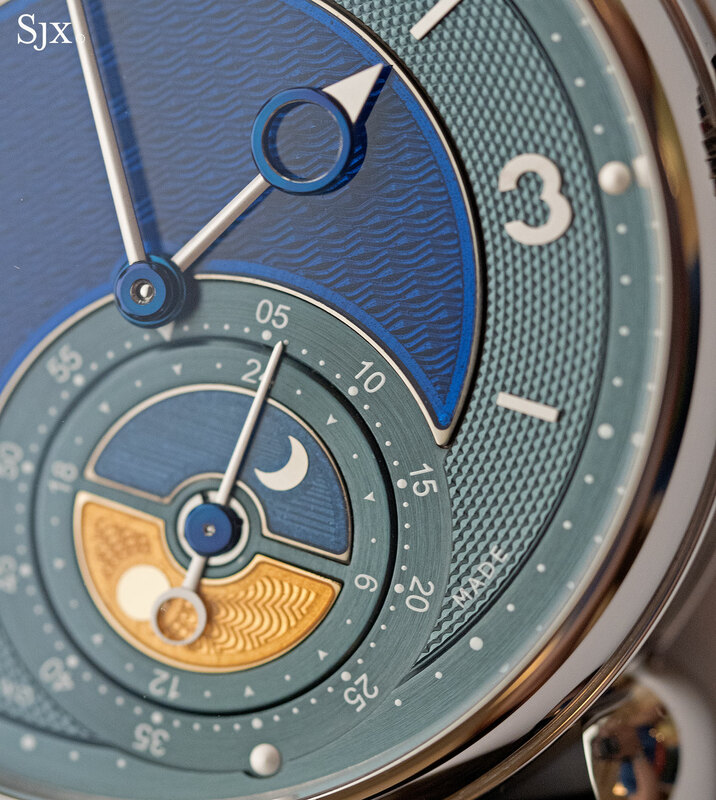 A sub-dial at six o’clock indicates the second time zone, with two champlevé enamelled inserts indicating day and night time. The hands are, well, hand-made, with the main parts in white gold and accented with blued steel rings on the ends and centre. All of the hour markers are white gold. 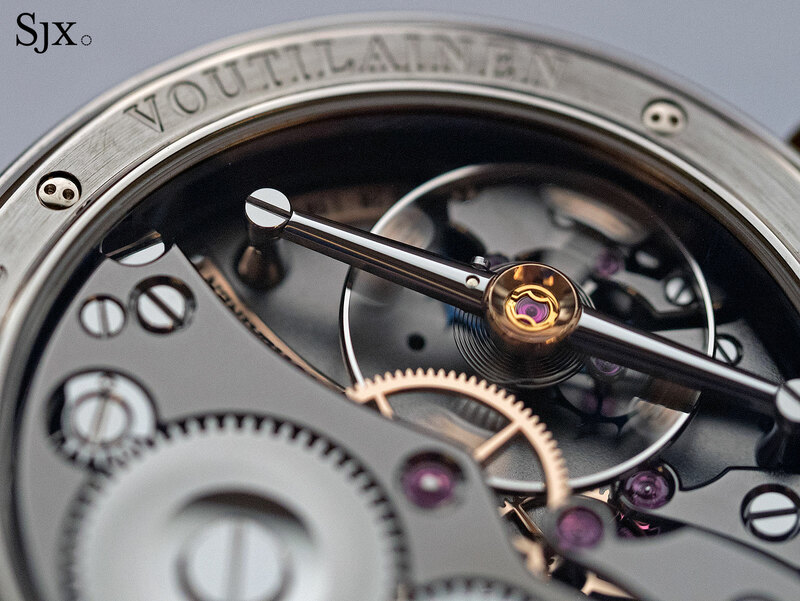 Inside is Voutilainen’s own calibre 28, a hand-wound movement that’s impeccably constructed and finished. Plated in black gold, the German silver bridges have a frosted finish, while all of the wheels are made of solid rose gold. 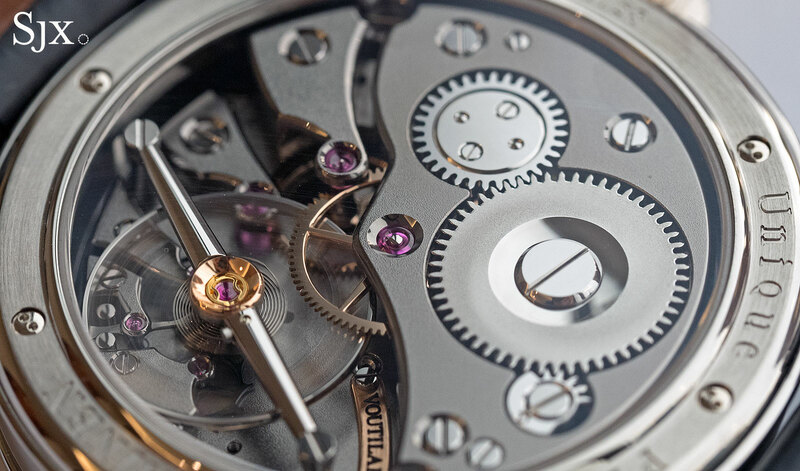 Like precision chronometers of old, the calibre 28 has a very large balance wheel, one that is almost half the diameter of the movement. 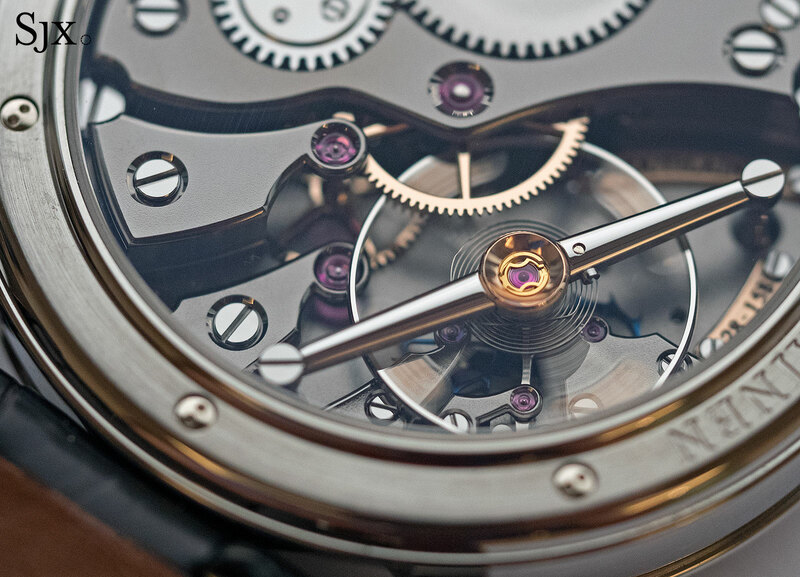 It’s held in place by a long steel bridge with polished, rounded arms, not unlike the bridge on a high-end tourbillon regulator. 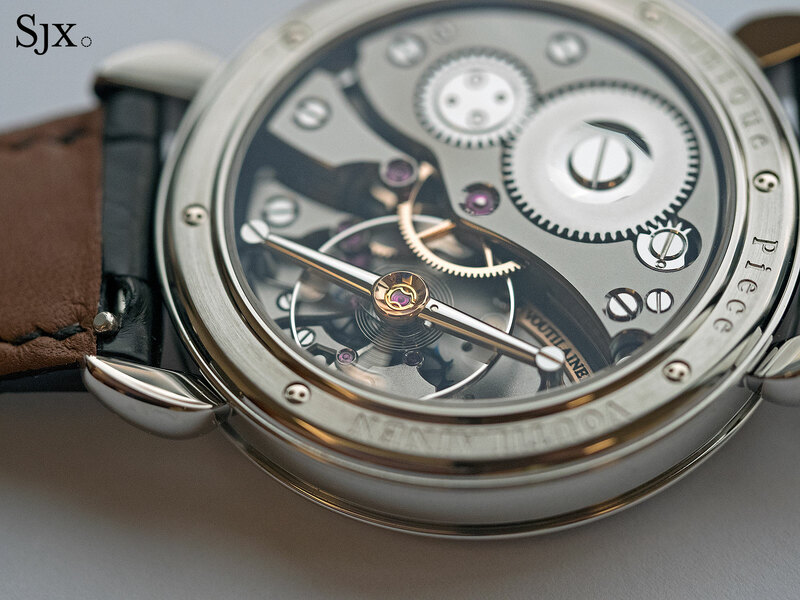 Every detail of the movement, big or small, is beautifully executed. The black polish on the ratchet and barrel wheels is gorgeous, as are the polished countersinks for the jewels and screws. The GMT-6 Kidz Horizon carries a retail price of SFr102,000 or S$145,000. It will be sold at the Kidz Horizon dinner on August 20, 2016, at the Ritz-Carlton in Singapore. All proceeds will go to Kidz Horizon, a charity the funds medical treatment for disadvantaged children. Interested bidders can contact Ms Christine Gwee at Kidz Horizon. 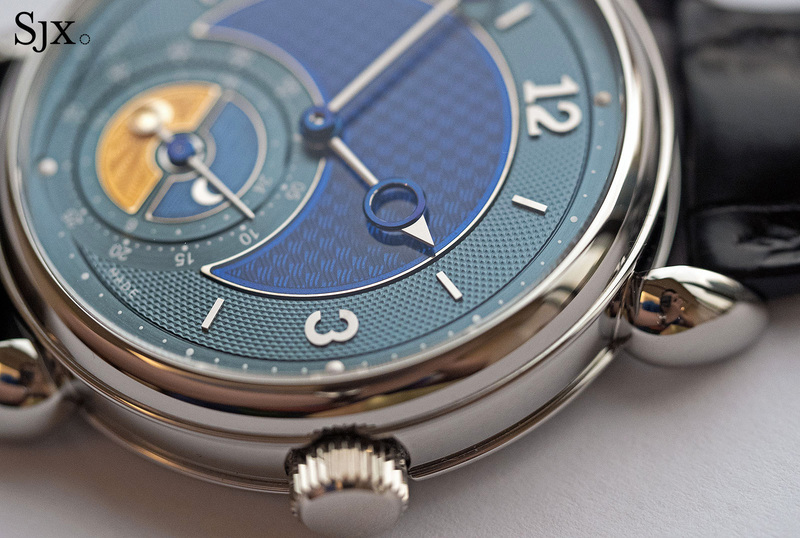 Kari Voutilainen has created a unique dual time zone GMT-6 fitted with a brilliant blue champleve enamel dial and equipped with the proprietary calibre 28 for Only Watch 2015.